We were very fortunate to receive Greg’s mailer, since we misplaced his number years ago. 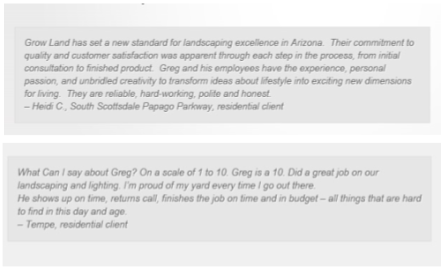 We just haven’t received the kind of service that Greg and his company provides, and he always does a fantastic job! 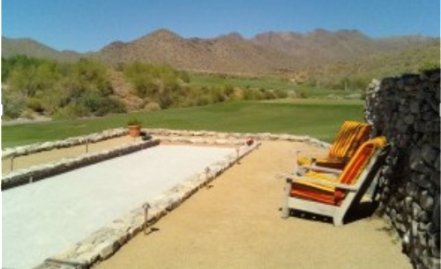 Growland LLC is a premier Bocce Court builder in Arizona. Including Phoenix, Scottsdale, Chandler, Gilbert and the entire metro area. Let us take care of your yard. 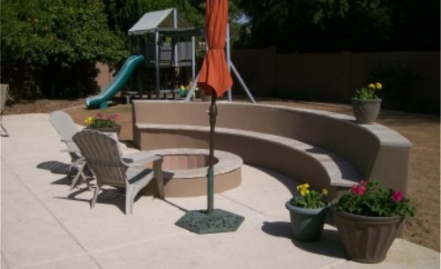 Grow Land, LLC is one of the premier landscape, irrigation and outdoor lighting companies in the Greater Phoenix Area. 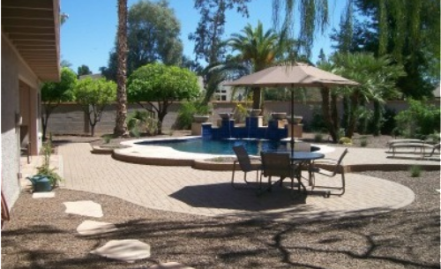 Our personalized services include full landscape consulting, irrigation and landscape installation and remodeling (including hardscape elements), and repair services. Our experienced landscape and irrigation staff guarantee unprecedented customer service and complete client satisfaction. Call today for a free estimate! (602) 689-2947. We are here to help. Grow Land Bocce Designs specializes in the design and construction of true playable bocce (ball) courts, built with sustainability and durability in mind. From base bocce courts on a budget to state of the art courts worthy of tournament play, we have a design for every budget level. We integrate spaces for both relaxation and competitive play, and tie the two together with our complete bocce amenity packages, along with ongoing maintenance plans to keep all our courts looking fantastic and ready to play. From the planning stages to the final walk-through, we build our bocce projects in collaboration with Home Owner Associations, Architecture Firms, Resorts, General Contractors and Residential Homeowners, modifying our calendars and schedules to make this work, even working on the weekends and off hours. Grow Land’s bocce courts are true public outdoor gathering spaces for all, whether in a Community Recreation Center, a Business Center, or a Residential Property. Our outdoor courts and courtyard spaces include escapes for those who desire a serene lounge area, or folks who desire an outdoor sport area. We truly build complete 360 degree spaces. We are Bocce Court Maintenance Specialists. You’ve invested in a Bocce Court that you want to enjoy for years and be ready whenever you want to play a game. ​It’s easy, you relax and let us do all the work with your Custom Bocce Court Maintenance package from Grow Land Bocce Designs. Even if we didn’t build your court, let us keep it up and looking great. Greg Rowland combines Grow Land’s experience with landscaping, construction, design into all of our bocce court designs, and perhaps more importantly – we play bocce! Greg is contacted regularly by bocce groups, and can be found guest hosting bocce tournaments throughout the State for his court owners. 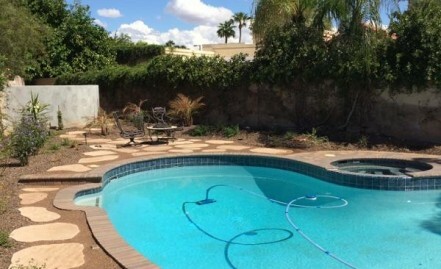 Grow Land provides professional landscape management services to the commercial and residential markets throughout the Phoenix metro area, working with a variety of partners and clients including; Community Management Companies, Property Management Companies, Home Owner Associations, Assisted Living Communities, Churches, Shopping Centers and private residences. 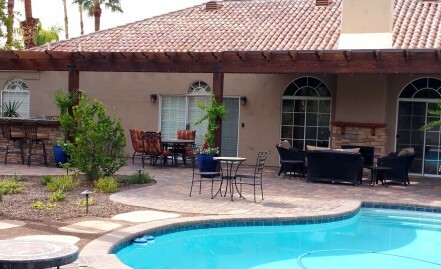 From initial consultation to design, installation and ongoing maintenance, we are committed to providing our clients with exceptional service and custom landscapes that exceed expectations and highlight the unique characteristics of every property. Incorporating Sustainable Landscape Management (SLM) practices adopted by the Arizona Landscape Contractors Association (ALCA), we provide our clients with a full range of professional property management services required to maintain all areas of their property, including landscaping, turf care, tree and shrub care, seasonal flower bed creation and irrigation system maintenance. A great example is the move away from improper pruning and shaping of shrubs that resemble balls or flat top cylinders toward renovation style pruning that promotes a more natural look that is both healthier for the plants, and requires less water for the plants to thrive. SLM also promotes following a seasonal calendar for trimming, pruning and fertilizing all shrubs and trees. Landscapers regularly over trim plants every visit, when in fact the vast majority of plants should only be trimmed during specific months of the year. Healthy trees and expertly-tended shrubs are an integral part of any landscape, but it requires regular upkeep to ensure proper health and aesthetic appeal is maintained. Grow Land’s skilled staff members provide the ongoing care trees, shrubs and other woody plants require to grow strong and provide your property with an elegant touch. We perform regular pruning of all trees 10-ft and under in addition to trimming all shrubs twice or more per season to promote new growth and overall plant health. We also keep a close eye out for disease or pest infestations occurring on your property so we can address the issue before it escalates. A major component of maintaining beautiful outdoor spaces is having a thorough understanding of which plants will thrive best in a given space. Grow Land’s resources include expert horticulturalists who can carefully evaluate each property we maintain in order to incorporate landscape plantings that will provide vibrantly beautiful blooms all season long, using a minimal amount of resources. We use a combination of annuals and perennials in a variety of eye-catching colors to create an impactful statement in any space. If you’re short on outdoor space, Grow Land can still create a bold statement using carefully crafted planters and pots that provide a warm, welcoming touch to any office or community. Grow Land’s trained staff are experienced in specialty irrigation systems that allow pots to water efficiently, minimizing water waste and runoff. Grow Land’s professionals offer full irrigation system services, including design and planning, installation, and ongoing maintenance to ensure your property’s irrigation system is always operating at peak efficiency. Providing your landscape with the right amount of water is crucial to maintaining overall health and vitality. An irrigation system is one of the most efficient and cost-effective means of ensuring your turf, trees, shrubs and annual beds receive the hydration they need, and when installed professionally, can lead to great savings on your utility bills. A recent study by SRP reported that outdoor watering accounts for up to 70% of your water bill. Using Sustainable Landscape Management practices, we work closely with our clients to develop and implement a plan for reducing water use. 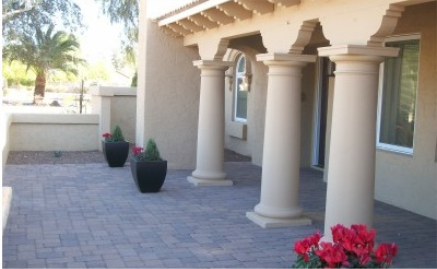 At Grow Land, we pride ourselves on creating unique and inviting outdoor environments designed to maximize the curb appeal of client properties. We offer our clients many unique ways to enhance their property, including design and build services, landscape construction, hardscape and softscape features, lighting and an array of water features. From concept to construction, we are committed to creating statement-making landscapes that are visually appealing, refreshingly functional and full of life. Grow Land landscape designers can elevate your property with the perfect balance of hard and soft features including vibrant flower beds, interlocking stonework, stunning water features and more. We can build to suit your vision, or create a custom concept that incorporates a variety of materials to perfectly complement your home or business.